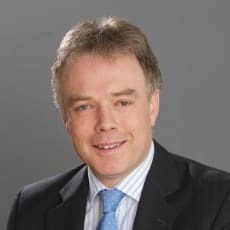 Nick is head of Mayer Brown's London Employment Group, which has been described as "an authority in employment" and "a first stop for City clients", for providing “real authority and nous” as well as “fit for-purpose advice”. Leading the practice, he “puts his neck on the line for clients” (Legal 500 2016). He is regarded as a leading light in employment law and has been rated as either a "star" lawyer or a Band 1 lawyer for advice to employers in Chambers. Clients like his personable, down to earth approach and how he quickly gets to grips with their needs. He has an ability to cut through complex areas of law, communicating them clearly and simply. Nick advises on a full range of employment matters for employers, both on a collective basis and in relation to individual employees. He regularly advises on the recruitment and termination of senior executives; the conduct of consultation meetings with trade unions and employee representatives; and large scale corporate reorganisations and outsourcing matters. His experience includes representing employers in legal proceedings in the Employment Tribunal, Employment Appeal Tribunal, High Court and Court of Appeal. He has represented clients at the Central Arbitration Committee and in mediation.